These sermon outlines were chosen on various topics for their strong scriptural support and solid expository structure. These sermon outlines will enhance pulpit ministry and encourage those in the pew. 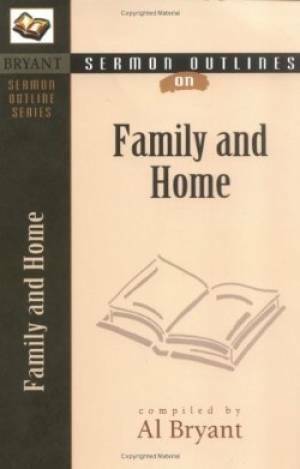 Family And Home by Al Bryant was published by Kregel Publications in May 2003. The ISBN for Family And Home is 9780825420801. Be the first to review Family And Home! Got a question? No problem! Just click here to ask us about Family And Home.